Hey Innis! Have any questions about upcoming student events? Looking to rent a locker from the college? Want to learn more about the student society and what we do for you? 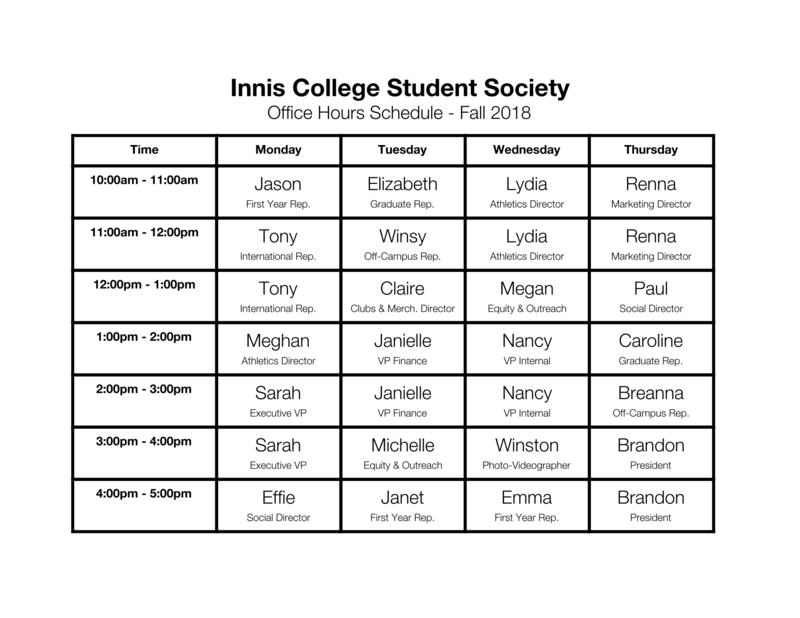 Drop by the ICSS office (room 107, past the Innis Café) any time between 10am to 5pm, Monday to Thursday! 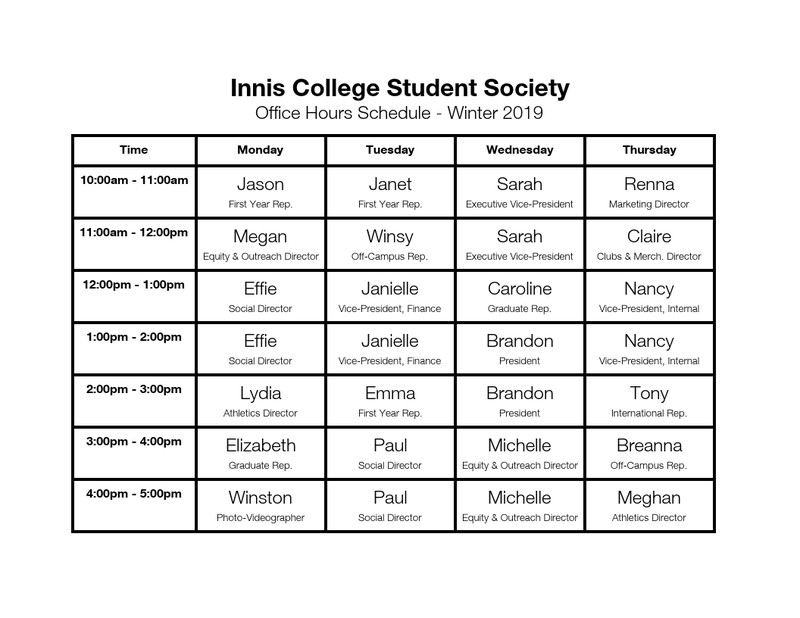 Here is a schedule of who will be in at what times – feel free to come in and say hi! Posted on September 4, 2018 Author icss	No Comments on Join the ICSS 2018-2019 Council! Join the ICSS 2018-2019 Council! The 2018-2019 year is off to an exciting start, as we welcome our new students through In to the 6ix Orientation and as we near the first day of classes this week. The ICSS is excited to meet the new students, and to welcome back our returning students! Nomination Form due Monday, September 10, 2018 at 5:00 PM. Application due Sunday, September 9, 2018. Application due Thursday, September 27, 2018. Questions? Comments? Concerns? Email thepresident.icss@gmail.com.